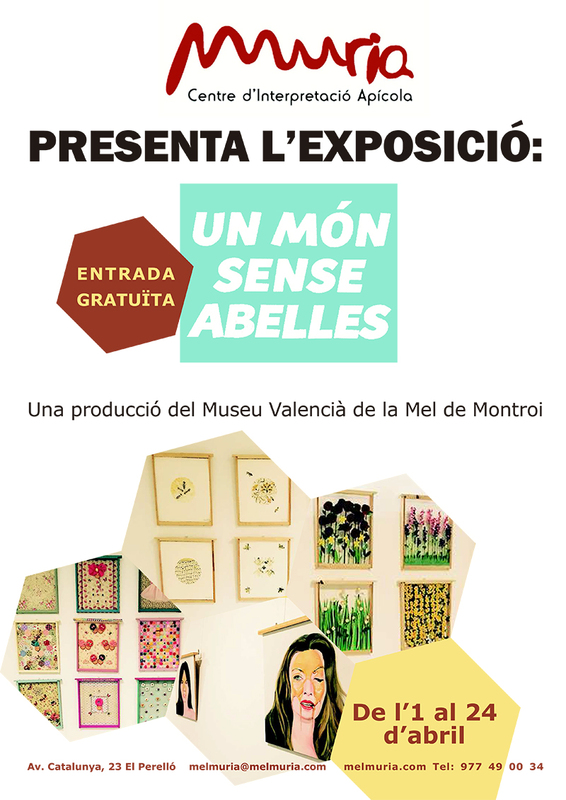 An exhibition entitled ‘Un Món Sense Abelles’ (‘A World Without Bees’) opens this evening at the Muria Centre d’Interpretació Apicola in El Perelló. The exhibition features works by 13 artists who were asked to consider what we could do with empty beehives if all the bees disappeared. The result is an imaginative collection of beautiful pieces described as ‘a magical journey where art and love for nature meet’. The work also aims to reinforce the message that the world’s bees are currently under threat from industrial agriculture and toxic chemicals. The exhibition is on loan from the Museo Valenciano de la Miel. It will be officially opened at 7pm on Friday 1 April by Ferran Bladé, cultural director of territorial services in Terres de l’Ebre. Un Món Sense Abelles is free to visit and runs from 1 to 24 April. The Muria Centre is at 23 Avinguda Catalunya in El Perelló, telephone 977 49 00 34, www.melmuria.com. From 8-10 April, El Perelló will host its first Ruta de la Tapa amb Mel.